The saturated color palette and all-over patterning of Maja Ruznic’s recent work camouflage her figures within the abstract wilderness they inhabit. 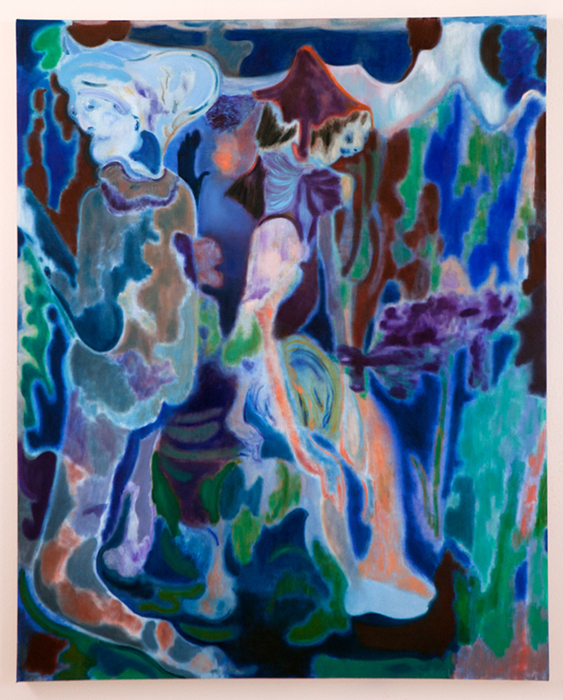 In True Believers, her characters are apparitions — the head of an older woman emerges from the upper left portion of the canvas, while other faces and limbs are barely discernible amongst the landscape. Ruznic paints with soft brushes in layers, coaxing splotches of paint into imagery. Born in Bosnia, Ruznic currently lives in the Bay Area.